Today Sauce Labs announced support for the brand-new iPhone XS and XS Max on our cloud-based mobile testing platform for Real Devices (RDC). This gives our customers the ability to test on the latest and greatest real mobile devices without the long wait. We continue to ensure that we provide our customers fast support for the most up-to-date devices and mobile operating systems for mobile app testing. This means teams will immediately have a broad range of devices to implement continuous test automation strategies without creating bottlenecks for continuous integration and delivery. HOW WILL THE NEW DEVICES AFFECT TESTING? Your customers and end users need to know that their applications will run smoothly on all supported devices, as well as the latest version of the mobile operating system. Users are spending more time on their mobile devices. In fact, over 80% of mobile time is spent on native and hybrid apps vs. mobile browser apps. This means that users expect their apps to work regardless of the latest updates. It is important that companies test on multiple real devices like the iPhone XS and XS Max to ensure quality and prevent one or two star ratings on the app store. End users love large screens, and the bigger the better. The iPhone XS Max has 6.5-inch Super Retina OLED display, compared to the original iPhone X which has a 5.8-inch display. 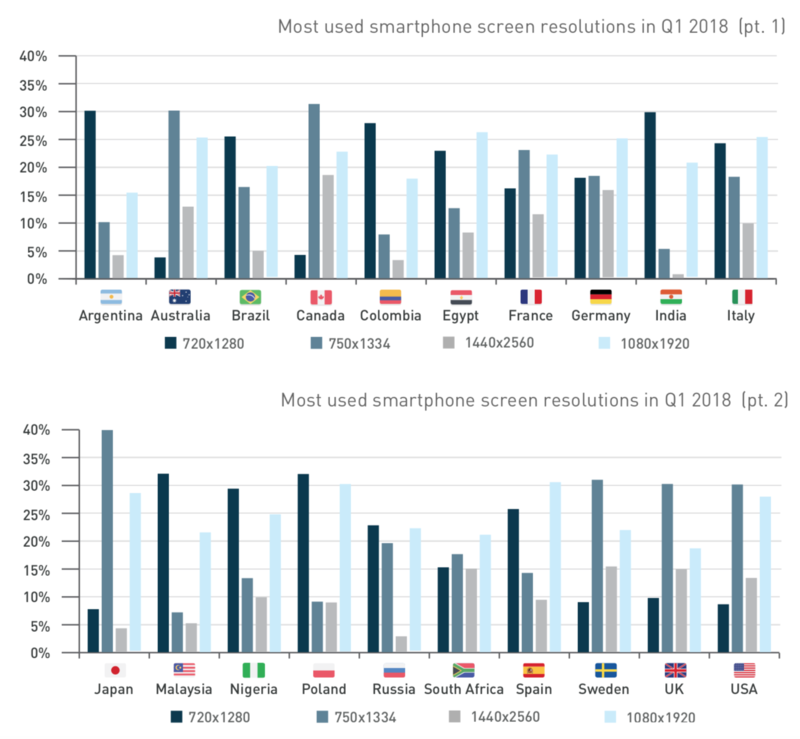 In the August 2018 Mobile Web Intelligence Report from Device Atlas, the most used screen resolution in the United States was 1440 x 2560 and 1080 x 1920 in Europe and in Asia. Whether your app is responsive design, native or hybrid, you’ll need to ensure that the mobile app displays and works correctly for all screen resolutions. Screen size also helps developers understand how users are consuming media on specific digital platforms. 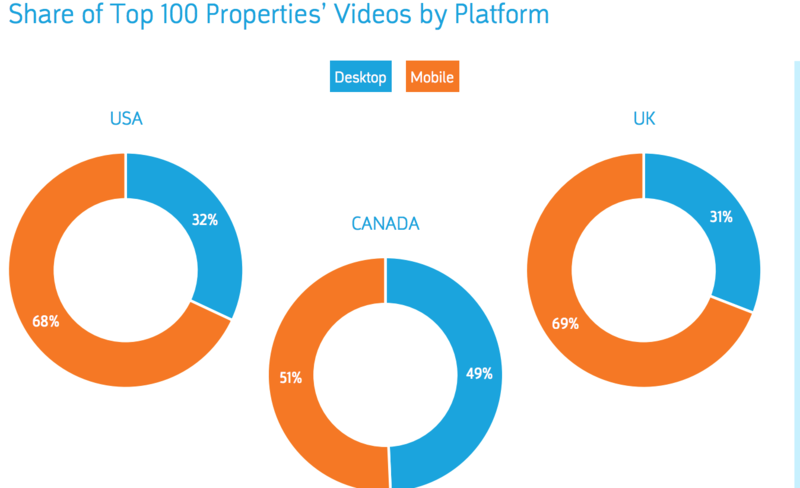 According to the ComScore Global Digital Future in Focus report, mobile accounts for a dominant share of video views. The graphic below shows how mobile dominates in the US & UK, close to 70%. A key feature of the iPhone XS and XS Max is dual-SIM support, which allows a user to have two phone numbers on the same device. According to Q3 2018 research from DeviceAtlas, dual SIM devices are most popular in Malaysia and India. The countries where dual SIM phones are the least popular include developed markets such as the USA (2.9%), Canada (3.3%), and the UK (9%). This is a huge plus for international travelers, but how does this affect your testing strategy for mobile apps? Now that the iPhone XS & XS Max have dual SIM cards, you’ll have the ability to test these types of real world scenarios in the Sauce Labs private Real Device Cloud. At Sauce Labs, our goal is to ensure that you can test the newest devices as soon as possible. Testers should never have to wait months for their cloud vendor to catch up and support the latest mobile devices and operating systems. To keep your users loyal and happy, you need to be sure your apps will work regardless of the device or OS. To start your testing with the most comprehensive mobile and web testing platform available, sign up for a free trial.